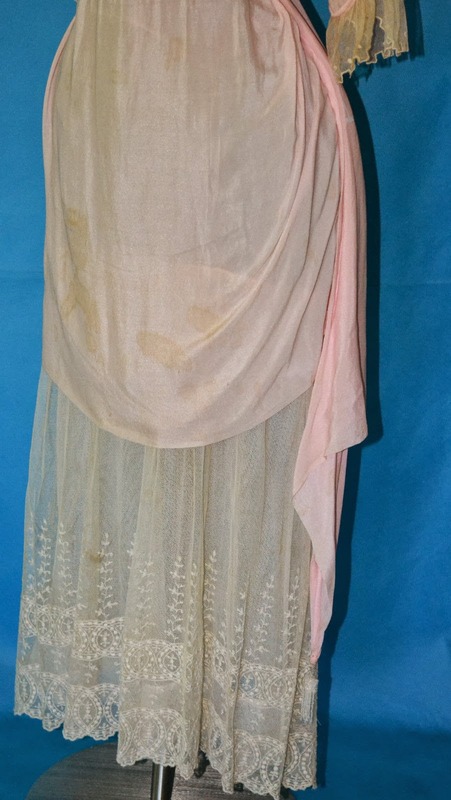 This auction is for a most exquisite late 1800's Victorian, early 1900's Edwardian silk & lace reception dress. In exceptional condition for it's age. This designer dress still has it's early Filene's store label sewn within the inner waist corset band. 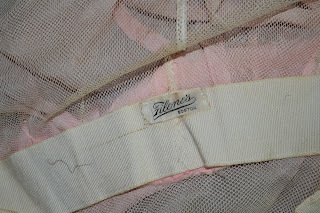 If you are a Filene's collector, I will be listing several Filene's early pieces from this well to do Woodstock, VT estate. The dress is a soft pink silk with netted ecru bodice with ruffle. 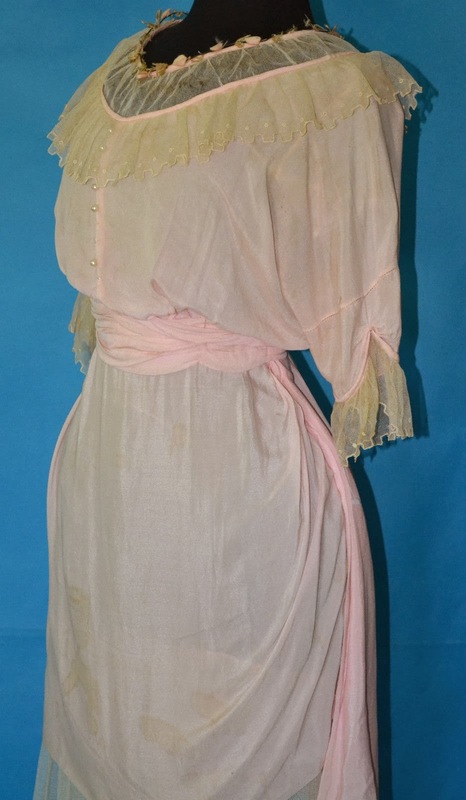 The net lace neckline is trimmed in sweet pink silk rosettes alternating with green silk ribbon ties...some green silk yellowing and wear. Matching ruffled netted lace trims each sleeve. Matching ruched pink waistband. The left dress side has a sweeping pink silk tail with glass beaded tassel. The front bodice features hand blown glass buttons painted to resemble pearls. The dress is missing three buttons. 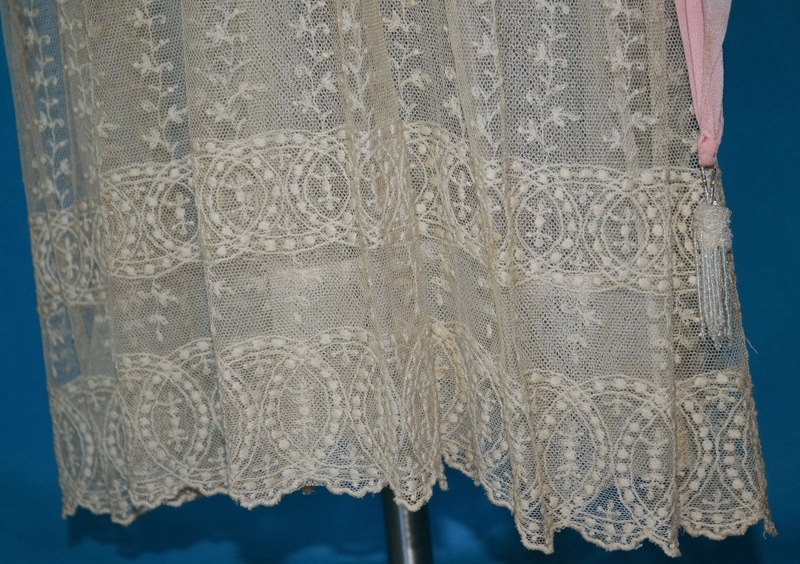 The attached underskirt is a fine ecru lace. 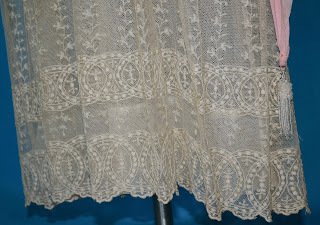 This elegant vintage dress does need to be cleaned as there is some age yellowing...primarily netted upper bodice & upper silk back with some age spots lower front draped skirt. This will easily clean up. There are no worn areas or holes found. Early hook & eye closure up the back.